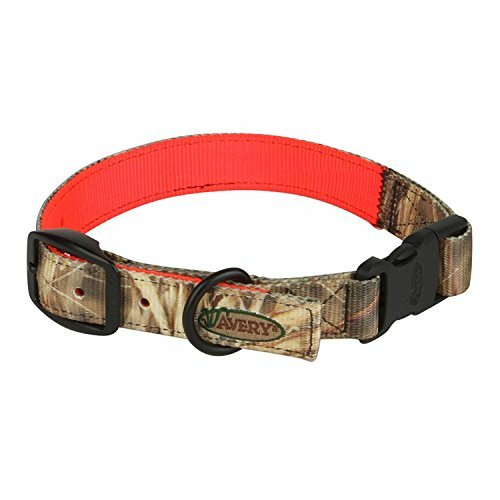 This is the perfect collar for waterfowl dogs that also hunt the uplands. Camouflage on one side and blaze orange on the other, simply turn it around when changing game hunted. If you have any questions about this product by Avery Outdoors Inc., contact us by completing and submitting the form below. If you are looking for a specif part number, please include it with your message.